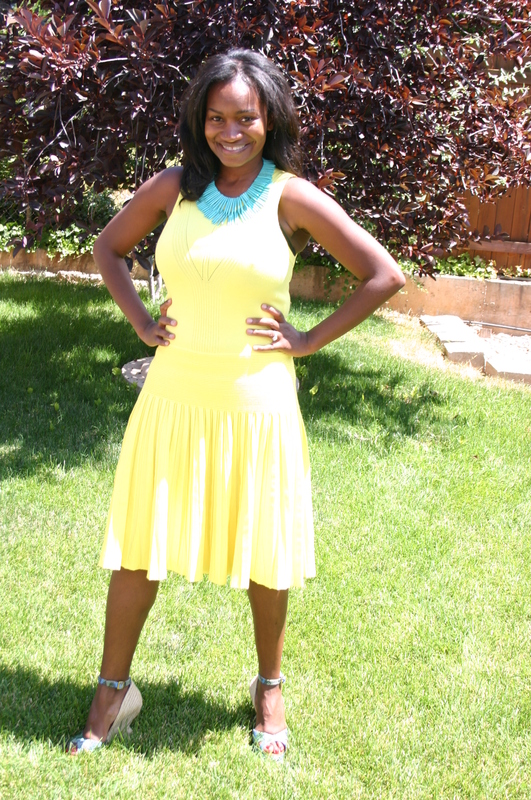 What’s Prettier Than a Yellow Milly Dress? Meet Tenia Danielle. She, by far, is one of my most stylish besties! We met years ago in Atlanta – back in the day when we were styling folks at Lenox. Although she has long since moved to beautiful Utah, we have remained close and whenever we chat, it’s like no time has passed. Her fav designers are Thakoon, Milly, & Alicia and Olivia. She describes her style as classic with a twist or in other words “classically twisted.” Ha!